If you’re craving adventure and find that the Lower 48 just can’t quite satisfy, turn your sights north and head for Alaska. 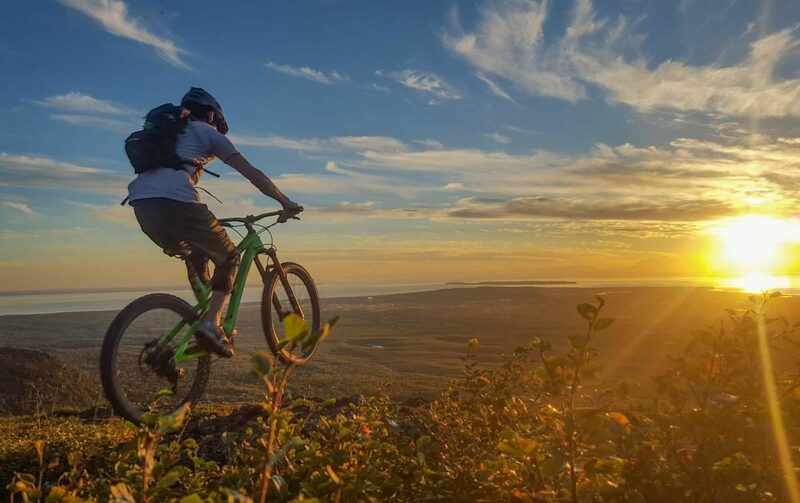 Though sparsely populated, Alaska is full of some of the heartiest adventurers, many of whom have quite the affinity for two-wheeled travel and have carved out excellent trail systems from the dense forests and alpine wilderness. For the sake of brevity, I’ve chosen what I consider to be five of Alaska’s best trails, though in my time living way up north, I never came across a trail I didn’t like. 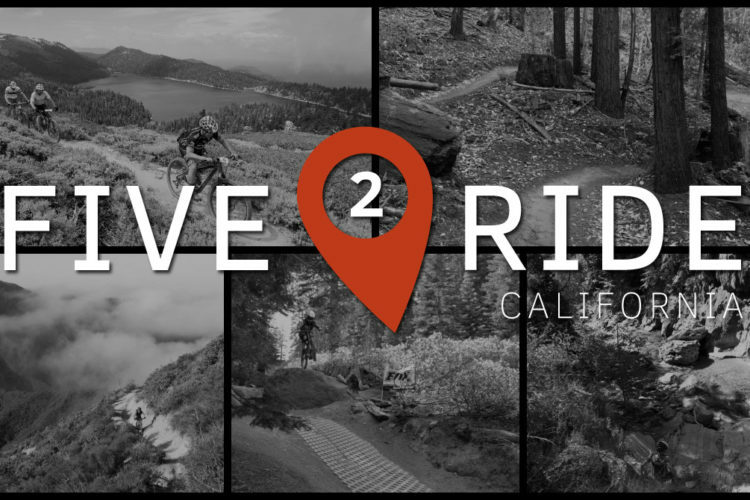 Be prepared to pedal, as the majority of the trails in the 49th state require a good bit of effort to get to the goods, but the stunning views and fast rides are great rewards without equal. Odds are you won’t be alone in enjoying the views, though you’ll most likely find yourself enjoying them in the company of a four-legged local native. Bear and moose are prevalent all throughout Alaska and it is imperative (really, truly) that you know how to behave around the fuzzy residents so you don’t end up featured in the local news as the hapless tourist who met their end on the wrong side of a hoof or paw. 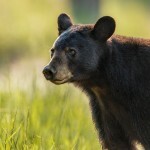 Though I’m by no means an expert, the National Park Service knows a thing or two, and I highly recommend riders always have a bell on their bike and consider carrying bear spray. In fact, a close friend of mine wouldn’t be able to read this article had it not been for a quick-thinking rider and a can of bear mace. On the less potentially-lethal side of things, consider stocking up on bug spray to keep Alaska’s legendary mosquitoes at bay. With that bit of fright-inducing reading behind us, let’s get to the good stuff. 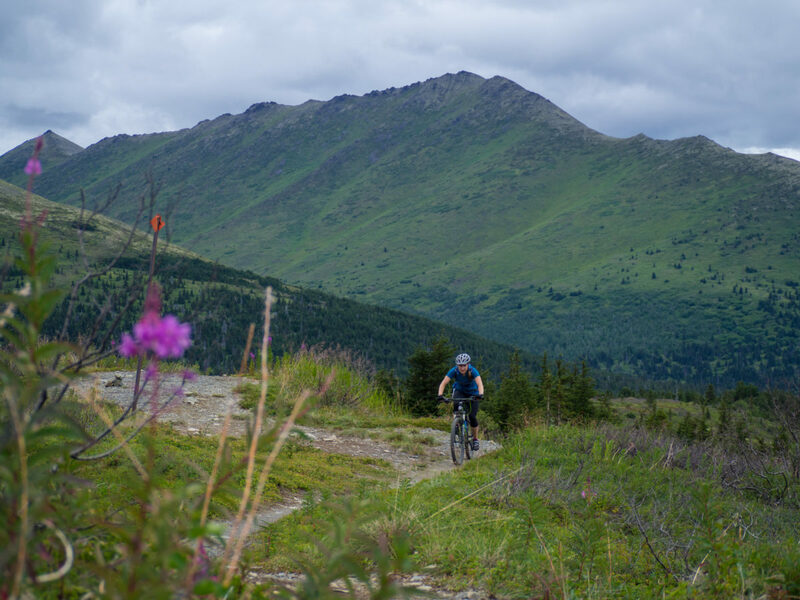 One of the most notable features of the Chugach range is how steep the mountains are, with riders and hikers routinely exceeding the 1,000 feet-per-mile benchmark on their way to the summit. 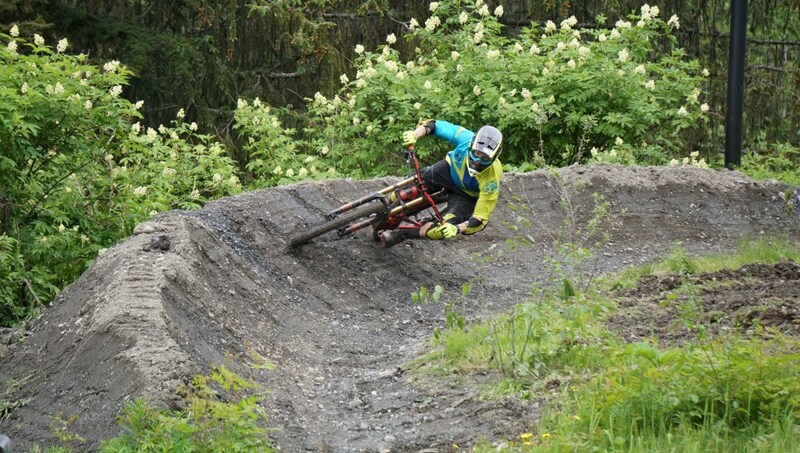 Some riders err on the side of masochism and enjoy the challenge of pedaling up trails that could be mistaken for flights of stairs, but for those who prefer to have gravity help rather than hinder, Alyeska is a great option. Riders can leave the hard work to the lifties and relax while their bike is lifted up to the top of Alyeska Resort. Before launching your attack on the mountain, be sure to take in the unobstructed views of the Cook Inlet and surrounding peaks–odds are you’ll miss it on the way down. If you opt not to travel with your downhill rig, both Alyeska and Powderhound offer local rental options. Post-ride (or in between sessions, we don’t judge here) beers can be had at the Sitzmark, located at the base of Alyeska or at the newly-opened Girdwood Brewing company, just outside of town. The Dome answers the age-old question, “is the juice worth the squeeze?” with an emphatic and resounding “YES!” Just a few miles outside of downtown Anchorage, the Dome is a truly classic example of Alaskan-style mountain biking, with a demanding climb that will force all but the burliest of riders into bouts of hike-a-bike up scree-covered trails that last just long enough for one to question their sanity. 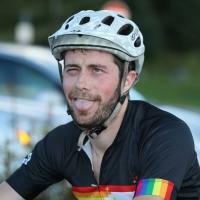 However, the climb is well worth it, as the high speed descent is one of the best in the state, with a quick blast back down to treeline and into some downright rowdy trails with plenty of opportunities to catch air and be reminded of why you did all that bike pushing in the first place. 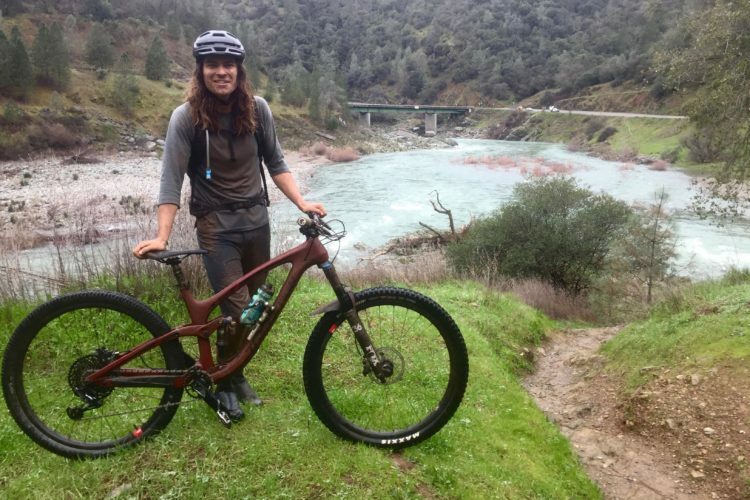 If the author were to offer any advice, it would be to check your bike’s brakes before pointing it downhill — this ride’s a fast one. 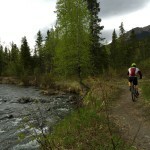 Any mountain biking visitor to Alaska would be doing themselves a disservice if they were to skip out on Kincaid, Anchorage’s own hometown trail system. 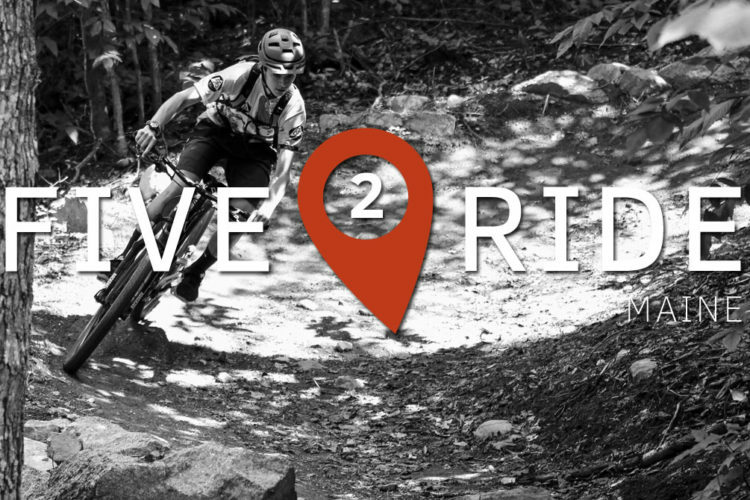 Whether you’re looking for challenging and technical old school trails or something a little more modern and flow-oriented, Kincaid’s dense network of singletrack offers plenty to choose from. 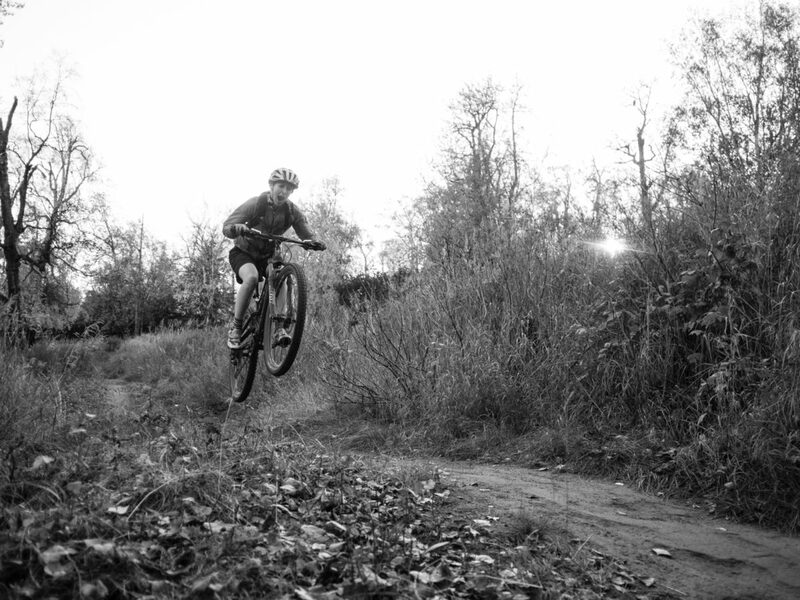 Thanks to the committed members of Singletrack Advocates, Kincaid’s trails are kept in great shape and new trails are often being carved out of the dense woods. Some of the must ride classics, in this author’s humble opinion, are Bolling Alley, Lee’s Train, Drop Zone, and Middle Earth. Additionally, if you find yourself up north in winter, many of the trails are open to fat bikes, and you can easily put in a 30+ mile loop by linking in Anchorage’s coastal trail with Kincaid’s nordic ski and mountain bike trails. Some of the most beautiful views of south-central Alaska can be seen on the Lost Lake trail, down on the Kenai peninsula. 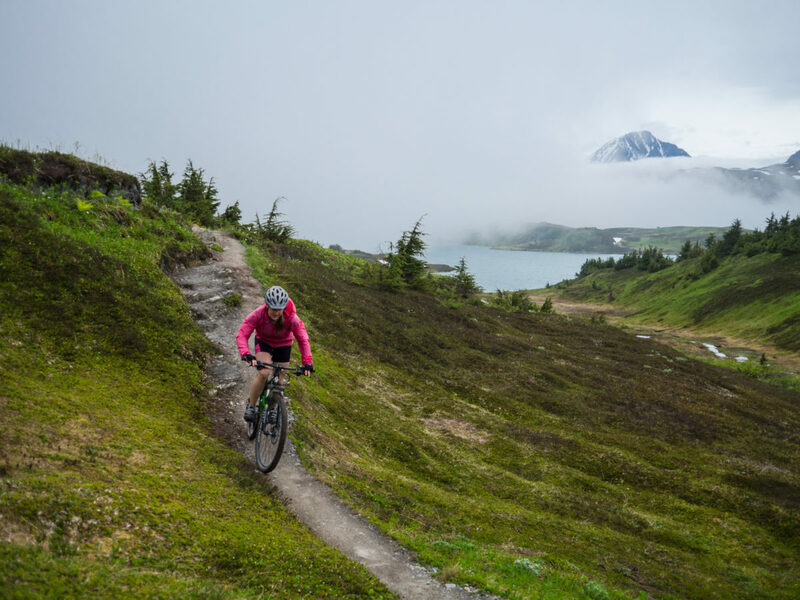 This trail can be ridden in either direction, meaning riders can either punish themselves with a steep and technical climb out of Seward or reward themselves with a high speed downhill blast into town. 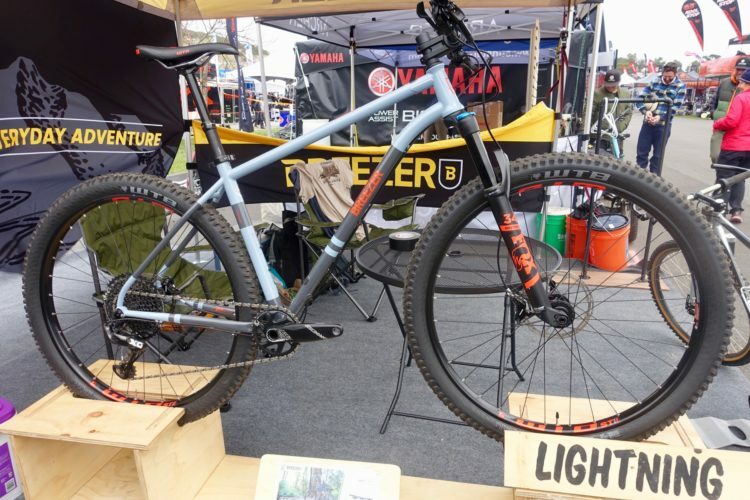 Over the 16 miles, riders will start in Alaska’s dense boreal forests and use their granny gear to push themselves up above treeline and into the high alpine, with beautiful views of the Chugach Mountains. 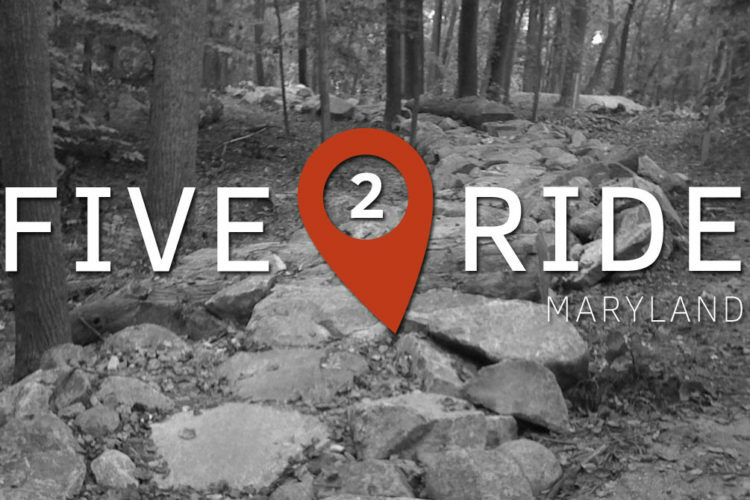 Once above the trees, miles and miles of fast, flowing trails await, with unobstructed sight lines allowing riders to put the power down and just cruise. The eponymous lakes of the Lost Lake trail are located right at the halfway mark and make for an excellent place to stop and take in the views. 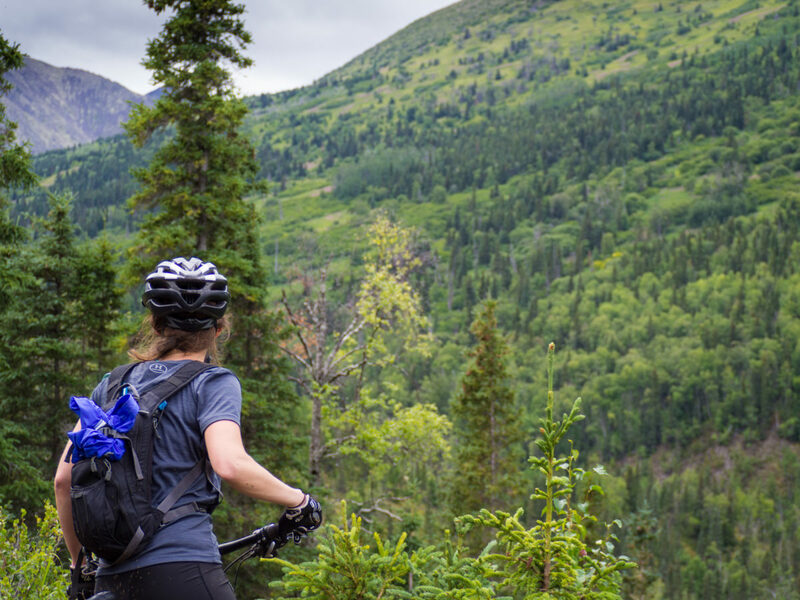 Camping is also allowed throughout the Chugach National Forest, so aspiring bikepackers could set up camp for a quick overnight trip. 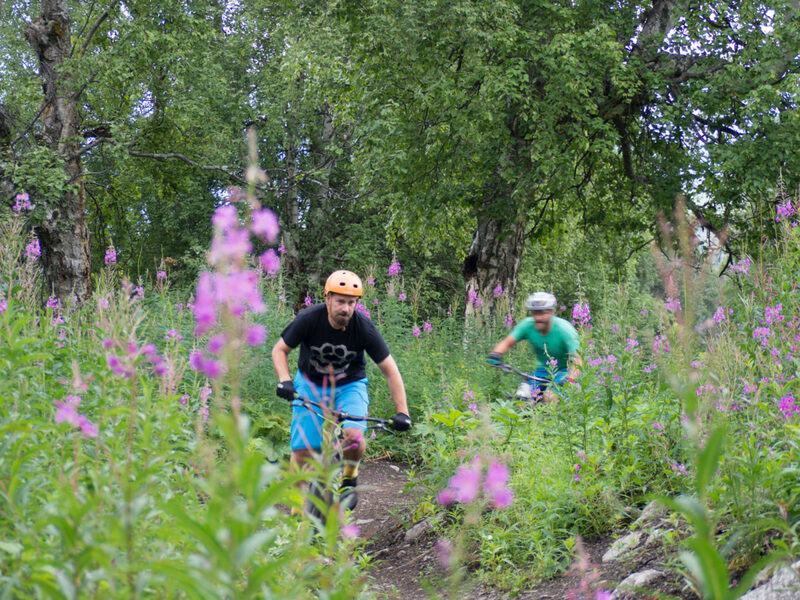 Realistically, this entire article could have focused on the Kenai Peninsula, as five of the best trails are all located on what’s known as Alaska’s Playground. However, favorites had to be picked and the Resurrection Pass/Devil’s Creek combo just barely beat out the rest of the trails on the Kenai. 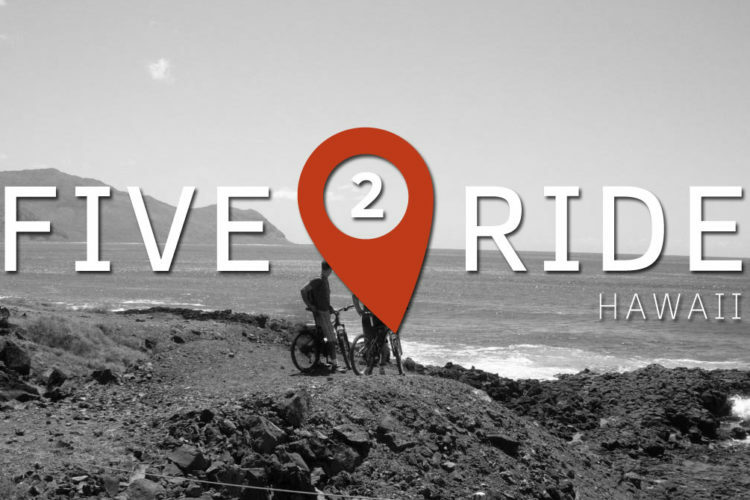 Starting in Hope, a fantastic little seaside town that’s a mandatory visit for anyone who enjoys fun, the Resurrection Pass trail takes riders up a gradual but surprisingly-enjoyable 18-mile climb (I know…) into the mountains. 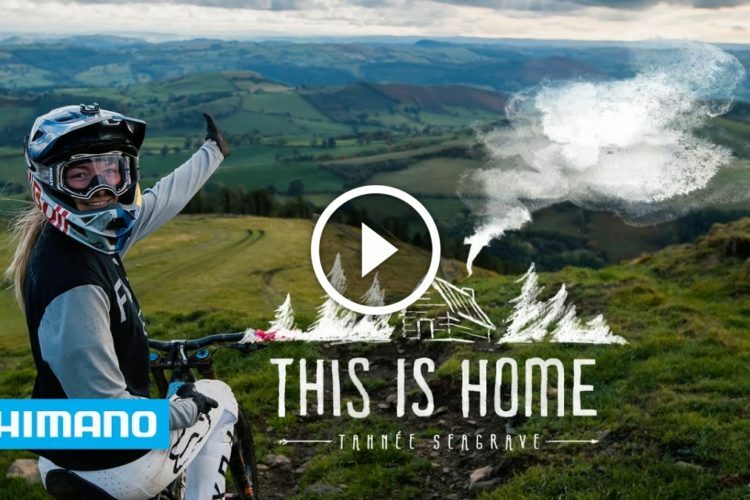 After the ride up, one could be forgiven for thinking that they’ve somehow been transported to Iceland, as the trail winds its way through a picturesque mix of high alpine and tundra terrain. 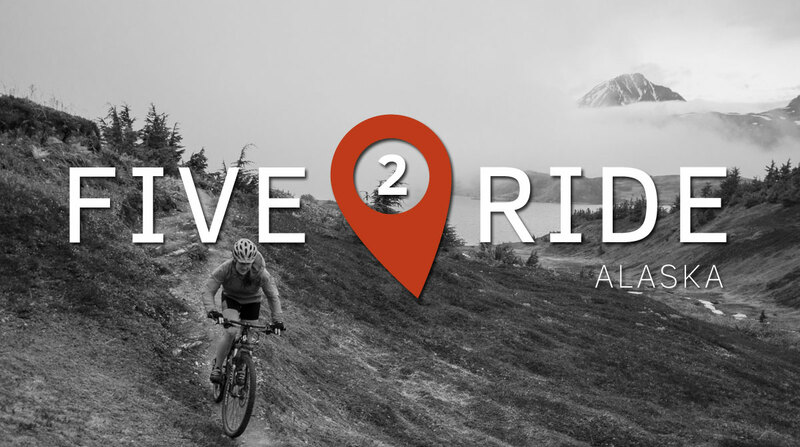 At the summit of Resurrection Pass, riders can choose to finish the trail and ride out to Cooper Landing, or make the wise choice and split off to enjoy a rip down Devil’s Creek. 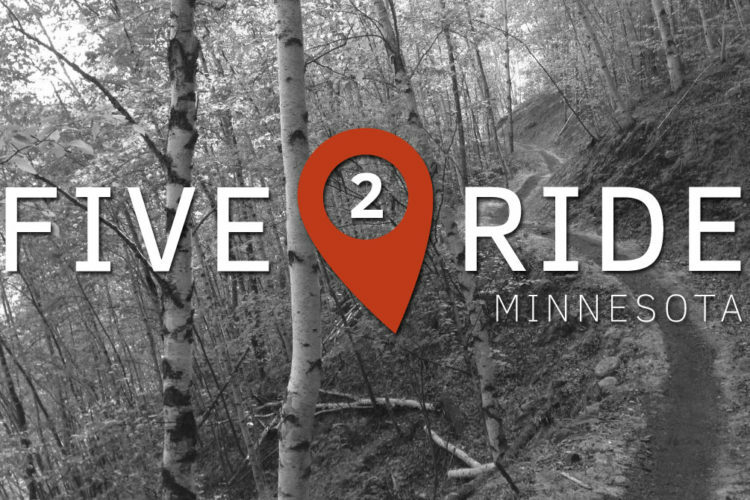 Devil’s meanders past several glacial lakes, through rainforests, and over numerous creek crossings, while keeping riders humble with steep cliffs and just enough technical features that demand full attention. 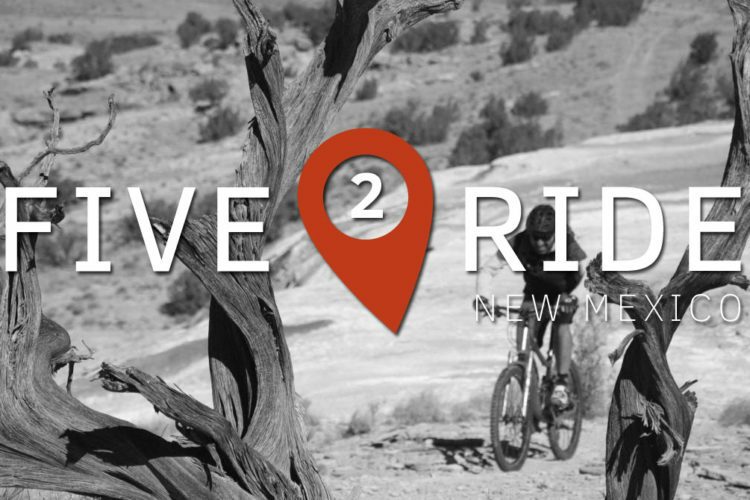 This is meant to be a high level, must-see list of trails and rides in America’s largest state, so there is certainly more to explore. Alaskans love their endurance racing, and there are many great events up north that string together trail after trail, from one day events such as ArcticMTB’s 24 Hours of Kincaid, to weekend-long races like the Kenai 250, or true sufferfests like the Iditarod Invitational. For more information, contact some of the local shops and riding groups and get started planning your own arctic adventure!